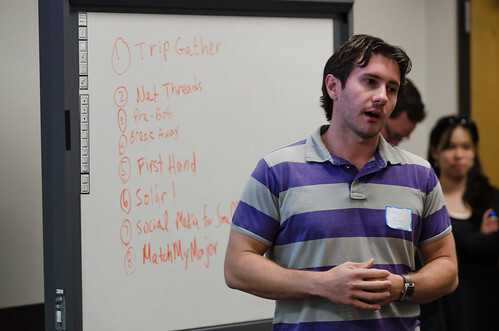 Bart Bohn, a Director at the Austin Technology Incubator, began the 2011 Spring 3 Day Startup Austin (3DS) in an inspiring and surprising way: he set the mood for the evening by playing MGMT’s “Time to Pretend” at full blast to the crowded room of participants. These lyrics speak to the entrepreneurial spirit: becoming an entrepreneur provides a path away from a dismal office job life. 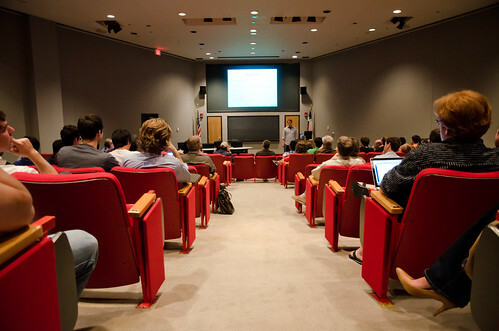 And for many, 3 Day Startup is the first taste of what an entrepreneurial life entails. This hands-on, learning-by-doing program introduces students to the challenges and opportunities of entrepreneurship and strengthens entrepreneurial communities. 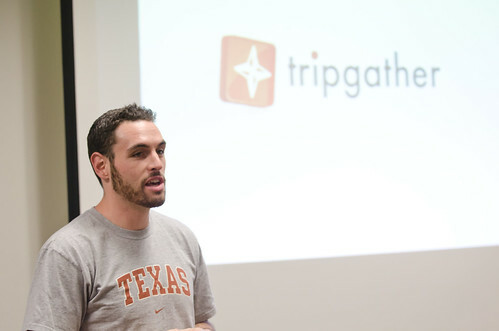 Jonathan Spillman, a University of Texas MBA, brought an idea for a business that makes it incredibly easy to find deals for upcoming trips. 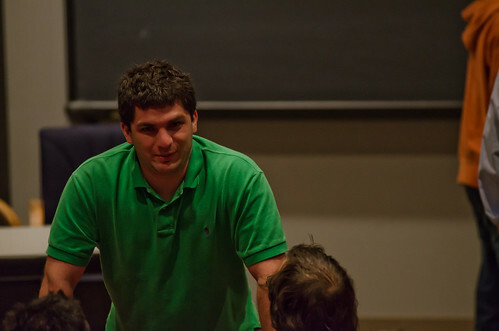 Mechanical engineering grad student Andy Zimbroff describes Cutieque, an innovative baby clothing rental company, as “Netflix for babyclothes”. David Snyder’s interactive demo for Democratic Lunch, a site revolving around helping companies handle employee lunches, involved the entire audience. 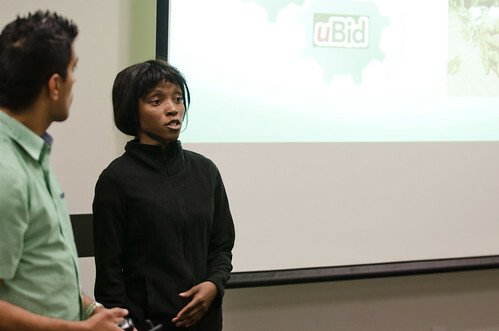 Hussain Hassan and Mahalia Asanaenyi explain ValueBid, a tool for optimizing auctions based on previous UT research, and its competitors. Luke Jones’ Avanteur mitigates the financial risks faced by independent clothing designers through a group-buying marketplace. 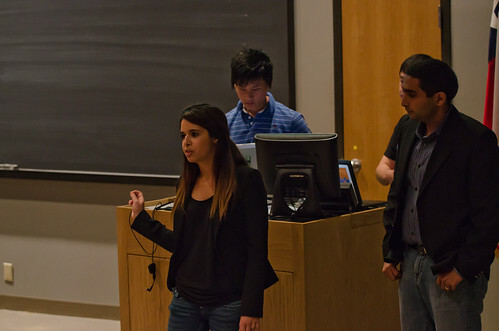 Liuna Fekravar and Rohit Sharma pitch Social Ease, a platform on Sunday night. SocialEase helps small businesses consolidate and automate social media activites through the use of a centralized dashboard. Rohit gave an engaging and humorous presentation that explained in simple terms why small businesses have a strong need for low-cost social media guidance. 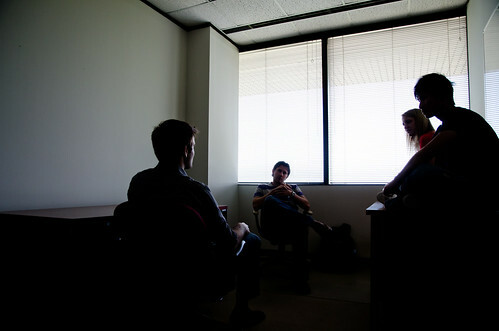 A brainstorming team gets down to business on Friday night. Bonus points for dramatic lighting and Luke’s “executive” posture/hand positioning. 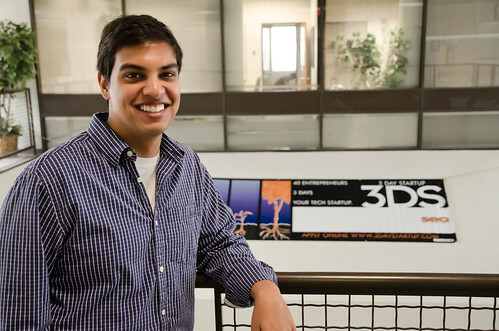 Crutches did not slow down Parth Upaday. 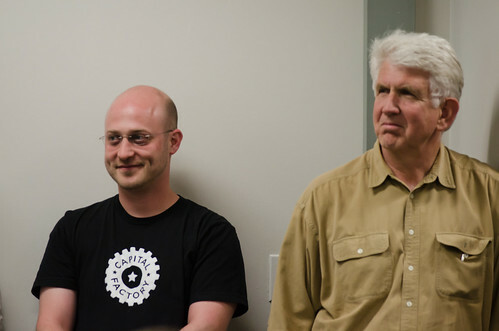 Josh Baer and Bob Metcalfe. See other captions here and here. The post-brainstorming idea voting process begins. 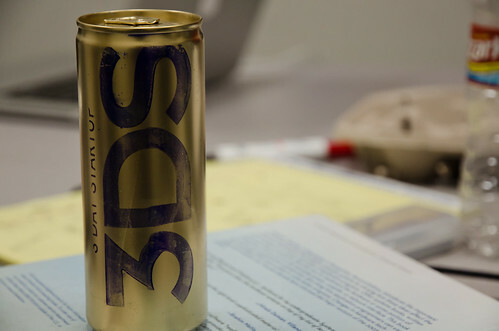 At 3DS, we kick the teams out of the building on Saturday and make them go talk to customers. Here, a team interviews a local business owner. Final pitches and demos getting started. 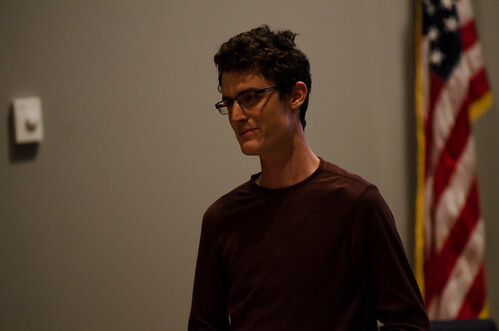 All photos courtesy of Linhao Zhang. Many thanks to Linhao!